Augmented reality has made a monumental impact on our everyday life for not only amusement purposes, but for our business as well. AR is the definition of a game changer and the manner these industries choose to use it is simply genius. When it comes to Augmented reality, we often think of Pokémon Go and other such games. However, the technology has grown beyond the gaming and entertainment sector. Today, AR technology has become the major tool for people and business leaders to attract and engage their target audience. And enjoy a plethora of benefits with which they can make their brand remain in the limelight of the market. In industries like the manufacturing industry, you can’t afford making a single mistake in the development process. A minor error can become the reason for re-building or improving an existing product, which will be both costly and time-consuming. Now, how to deal with this issue? The right solution to this concern is Augmented Reality. The technology, with its potential to digitize the product prototyping in 3D, makes it easier to access and understand the prototype. The business leaders can easily make the right decision and their team can act effectively. This increases the speed of the process along with the efficiency rate, which ultimately enhances the overall experience and profit generated. AR technology is making a difference in the education business vertical in two ways – by engaging users and by making the concepts interactive. By incorporating gaming elements into the classroom, AR is providing an exceptional experience for both the teachers and students. It is encouraging them to turn a boring class into a jaw-dropping experience and learn complicated concepts easily via 3D AR modeling. It is empowering them to learn beyond the textbook material and satisfy their curiosity. Besides, it is enabling the tutors and teachers provide the right environment to the students so that they can give their best output. For example, by turning a classroom into an Augmented reality playground or high-definition gym, a physical education instructor can easily prompt students to practice actively. Just like AI, Machine learning, and Wearable, the AR technology is also disrupting the world of healthcare. The technology is breaking down the complex medical concepts into interactive 3D forms. This way, it is empowering the medical experts to describe everything easily to their patients and trainees. Besides, Augmented Reality will offer 3D visualizations of the organs from the different angles, which will help the surgeons make precise stitches and increase the success ratio. AR is adding life to the static marketing mediums. It is enabling the marketers to include 3D animations, video and target-based additional information into their AR-based storefronts, brochures, posters, t-shirts, flyers, and billboards. This way, it provides a lucrative and seamless experience to the targeted audience. Augmented Reality is transforming the fashion and retail industry in multifold. It is providing personalized assistance to the online and offline shoppers and helping them choose the right product comfortably and easily. 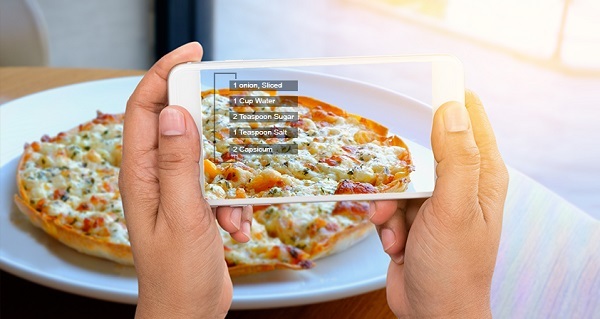 From hotel room booking to transportation, planning events and outings, and booking a table at a restaurant, augmented reality is helping in everything to make your traveling hassle-free and memorable. The technology is helping the travelers access the information written in pamphlets and other sources easily by converting it into useful, spoken conversation. It is offering 360-degree tours to the guest rooms, restaurants, meeting facilities, and other places to the customers. Besides, the technology is empowering the travelers to visit the nearby events and outing places even without leaving the comfort of their rooms. Using a GPS along with traveling to a newer place is often troublesome – leading to accidents more often. To tackle this situation, ARy has come up with smart glasses. These glasses have sensors which enable the driver to keep a track of the route he/she takes without looking around. This way, these glasses are enhancing the experience of the person on wheels and making the automobile sector smarter. AR technology has grown beyond the Snapchat’s virtual face filters. The technology is widely adopted in Eyewear and cosmetics industry for helping customers understand what they want, and try everything before buying. Since every face and skin is different, it was quite difficult to deliver exquisite customer experience earlier. However, with the advent of AR technology, the end users can easily find out what suits them and make the purchase. A successful example of this kind of application is Sephora’s updated app. The mobile application has a ‘virtual try-on’ feature that enables the customers to try make-up virtually and find what goes with your complexion. Likewise, the Eyewear firm Glasses.com has incorporated the technology into their processing to make it easier for the end users to try a different style of glasses and choose the one they find great. Augmented Reality is bridging the gap between the consumer, product and the product content. The technology is making it easier for the end users to get a detailed information of the ingredients and nutritional value of every food item they have ordered. It is presenting the dish recipes in innovative ways, which is encouraging the chefs to experiment and enhance their skills. Apart from this, the technology is playing a significant role in the customer marketing. For example, the AR-based Patron campaign empowered the iOS users to get access to the AR experience of drinking different kinds of tequila while a mini-bartender explains about the taste of each. AR has enhanced the working of enterprises by providing them numerous benefits. By creating an AR projection of the person on call at the other end, the technology is making users feel as if they are talking directly. This way, it is improving the engagement and productivity of the process. Besides, the technology is playing a crucial role in scanning and gathering all the online information about an individual so as to verify his background before getting into a deal. Although the potential of Augmented Reality is not yet unleashed completely, the technology is setting the beginning of a new era in the business world. It is improving the way brands interact with the customers and acting as the right tool to boost customer engagement. The adoption of the AR technology is growing so rapidly that its market is expected to cross $117.4 billion by the year 2022, which clearly indicates investing in AR app development is the need of the hour.